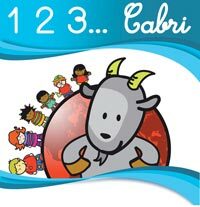 123...Cabri is a collection of highly interactive notebooks for the learning and teaching of mathematics at primary school. For KS1 and KS2; 5-11 year old pupils. Questions and tools made available on each page encourage pupils to think: they count, calculate, manipulate numbers and geometrical objects, in 2D or 3D. They solve problems and learn through feedback to their actions or replies. The collection builds up a bridge between the daily environment of the pupil and the maths' more abstract notions. Assessment, within an individual learning plan or not. For all grades of primary school, more than 500 exercises. Visit http://www.cabri.com/cabri-software.html and see "123... Cabri" in action. Buy your subscription from the links below. Special Offer: Subscribe before 30 November and get 50% off! Just £200 + vat for one year, or £400 + vat for 3 years.